The National Gallery of Australia ignored the advice of its own attorney when buying the $5 million bronze sculpture of Shiva, according to a damning confidential document uncovered by the Australian documentary program Four Corners, which aired an hour-long investigation of the case on Monday. Weeks before acquiring the Shiva in 2008, the NGA consulted with Australian solicitor Shane Simpson, an expert on art law. Simpson prepared a 12-page legal memo that cautioned NGA officials about the considerable risks of acquiring the sculpture. “There is no evidence that provides any clue as to the origin of the object,” Simpson noted. Among the four likely possibilities he listed: “stolen from the original source (e.g. a temple)” and “unlawfully excavated.” Likewise, the museum had no information as to when the object was exported from India. “The absence of official documentation suggests that the object was exported without compliance” with India’s national patrimony laws of 1959 and 1972. Contact the India’s Central Bureau of Investigation, which monitors the illicit trade, and Indian diplomatic officials to see if they objected to the purchase. Ask Raj Mehgoub, the alleged former owner, to provide documentation on the Shiva’s legal export from India. Ask Kapoor for documents about his purchase of the Shiva from Mehgoub. The NGA appears to have taken none of these steps, and acquired the Shiva weeks later. Presciently, Simpson warned the NGA that the guarantee provided by Kapoor was of limited value because “…that promise is still only as good as the continued existence of the firm and its liquidity at the time such a claim is made.” As we first reported in February, the NGA has filed a lawsuit against Kapoor seeking to recover its $5 million that will likely be undermined by this very fact. It is likely futile for the very reasons Simpson stated. Simpson’s brief failed to raise what was perhaps the most obvious concern: that the provenance documents supplied by Kapoor had been forged. Indeed, Simpson stated he had “a high degree of certainty” that there could be no successful claim based on the 1970 UNESCO treaty or India’s 1972 law because the Shiva had likely left India before they were enacted. This was a glaring overstatement that likely gave the NGA a false sense of security. In fact, the Shiva left India illicitly in 2006 and both those treaties have been cited in India’s demand the sculpture be returned, according to a March 26 press release from Australia’s attorney general. 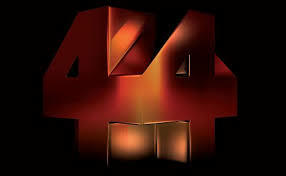 Monday’s Four Corners program was largely based on information uncovered over the past year in a joint investigation carried out by myself; Indian art aficionado Vijay Kumar of Singapore; arts reporter Michaela Boland of The Australian; journalist R. Srivathsan of The Hindu. The earliest work on the Kapoor case was done by antiquities trade researcher Damien Huffer, who provided me with essential help early on. I was interviewed for the program, but the work of my other colleagues was not credited, as it should have been. That said, the Four Corners team did uncover new information, including a detailed accounting of the NGA’s due diligence that the museum provided confidentially to George Brandis, Australia’s Attorney General and Minister for the Arts. The due diligence memo reveals the provenance for all 22 works of art that the NGA acquired from Kapoor between 2002 and 2011 for $11 million, and 11 additional Kapoor objects now on loan to the museum. Five of the 22 objects were said to have come from Raj Mehgoub, whose humble lifestyle we’ve described previously. The NGA was apparently untroubled by the fact that the supposed owner of a $30 million art collection lived in a Philadelphia duplex worth just $83,000. Three of the objects cited the previous owner as Salina Mohamed, Kapoor’s longtime girlfriend. In December, Mohamed was charged with four counts of criminal possession of stolen property and one count of conspiracy. Prosecutors say she was involved in the fabrication of fake ownership histories for Kapoor’s stolen objects. Kapoor’s daughter Mamta Sager donated eleven paintings and a lithograph to American Friends of the National Gallery of Australia, an U.S. non-profit that acts as a pass-thru for donations to the museum. Sager was named, but not charged, in a criminal case filed in New York against Kapoor’s sister Sushma Sareen. One object reportedly came from another of Kapoor’s ex-girlfriends, Paramaspry Punusamy, the owner of Dalhousie Enterprises and Jazmin Asian Arts in Singapore. Punsamy is reported to have triggered the Kapoor investigation after falling out with him over a lawsuit in 2009. Kapoor claimed to have consulted with several leading Asian art experts, including Stephen Markel (left), curator of Asian art of LACMA, which acquired 62 objects from Kapoor and has had other alleged entanglements with the illicit trade; Robert Knox, the former keeper of Asian art at the British Museum; Vidya Dehejia, a professor of Indian and South Asian Art at Columbia University. On the Shiva acquisition, the NGA has long claimed it consulted with a leading Indian expert who had given his blessing for the acquisition. The museum has refused to name the expert, but Four Corners identified him as Dr. Ramachandran Nagaswamy, a leading authority on Chola bronzes. One problem: Dr. Nagaswamy says he has “absolutely no recollection” of ever speaking with anyone at the NGA. This entry was posted in News and tagged Art Gallery of New South Wales, Dr. Ramachandran Nagaswamy, Four Corners, George Brandis, Mamta Sager, National Gallery of Australia, Paramaspry Punusamy, Raj Mehgoub, Robert Knox, Salina Mohamed, Shane Simpson, Stephen Markel, Subhash Kapoor, Sushma Sareen, Vidya Dehejia. Bookmark the permalink. well written and the key moment for me was the statement “as long as they have liquidity” and i think that ‘sums’ it up, what all of it is about even within gov’t. Excellent. I also saw the Four Corners programme. Even though I do not know enough about Indian temple art to even have an opinion, the evidence collected about Subhash Kapoor, the dealer who supplied the art objects, should make us pause and reflect on the process. Large state and national galleries might easily be fooled by faked up art. But they need not be fooled by stolen art, whether from victims of the Holocaust, pillaged treasures from the war in Baghdad or shonky dealers of temple art in New York. So we have to ask if the galleries decided that stolen art (if it turns out to be stolen) wouldn’t be as damaging to their reputations as faked art. Gosh, it gets a person wondering about everybody!…now this hotshot barrister & Museum Director (SA Art Gallery) can’t be shot for his Indian art collection, but his public support of child pornographer Bill Henson following a police communique to the Premier in 2013 regarding concerns about a scheduled Henson/SAAG show (not to mention certain of his how-do-you-sleep-at-night briefs) gives one pause…http://www.adelaidenow.com.au/lifestyle/sa-lifestyle/art-gallery-chairman-michael-abbott-qcs-pursuit-of-indian-art/story-fnizi7vf-1226755910326….